You probably know whether you like Garfield or not. It seems like the funniest idea ever when you’re a kid, or when I was a kid, anyway. This is one of a handful of specials that predate the Garfield and Friends tv show. In the final estimation, this is a fine special. The songs aren't annoying, there are some cute moments, and while it isn't terribly funny, it isn't bad or all that boring. 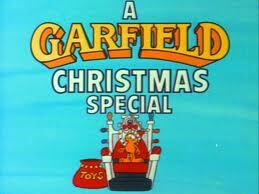 The plot, such as it is, revolves around Jon taking Garfield and Odie to his parents’ house for Christmas, and a series of scenes that establish the characters’ relationships and quirks. Like It's Christmastime Again, Charlie Brown, this has the feel of a bunch of loosely connected vignettes rather than a single story. About the only plotline that is longer than two scenes is the one where Odie is making Garfield a present. Another Black Friday has come and gone, leaving desolation, holiday cheer, and suffering in its wake. The images are permeating the internet, and the stories will likely be told in hushed tones until next year's even greater excesses renders these events quaint in comparison. But until then we can enjoy the show. Since studios have yet to get on the ball and start producing stop-motion specials about the magic of Black Friday, we must make do with video captured by shoppers and spectators (apparently, we're not the only ones). If you'd rather skip the suspense, the holiday cheer begins at about 1:25. It takes the crowd approximately thirty seconds to strip the display bare of electronics, leaving a pile of rubble behind. 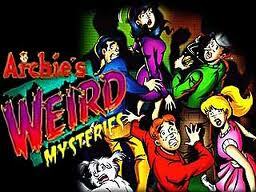 I don't believe I ever saw an episode of Sabrina: The Teenage Witch, nor do I recall ever having heard of an animated spin-off. 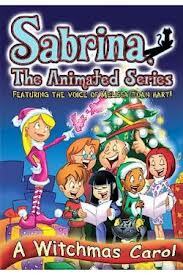 But apparently not only does such a thing exists, it has a Christmas episode. The plot focused on Sabrina's rivalry with a rich, stuck-up classmate. She attempts to put this character through the premise of A Christmas Carol to what I really, really wish had been hilarious effect. Ultimately, the writing and poor comprehension of the medium made the result tedious and uninspired. Structurally, it clearly wanted to feel like a sitcom: the characters were two-dimensional, and the world was mostly constrained. The only reason simplistic characters work at all in sitcoms is that actors are able to add depth or - at the very humor - to the backdrop. Take away the nuance, and you're left with a blank slate, which is exactly what this felt like. 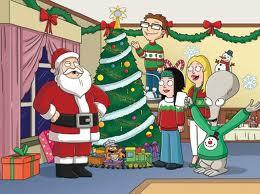 Lindsay and I picked up a DVD containing a Christmas episode of Family Guy and one of American Dad. We got it dirt cheap at a warehouse sale. We saw both and divvied them up: she reviewed "A Very Special Family Guy Freakin' Christmas", and I lost the coin toss. Where to start? As far as I can tell, American Dad is the show Seth MacFarlane made to make Family Guy look good in contrast. I've only seen a handful of episodes, but nothing I've sat through struck me as being funny in the least. This Christmas episode was certainly no exception. The premise sounds better than it was: Stan gets killed trying to find the perfect Christmas tree. After failing to make a case for deserving a second chance at life, he grabs a gun, breaks into Heaven, and tries to threaten God into sending him back to Earth. In case you missed the subtle subtext, Americans are arrogant and violent. Black Friday's Eve is about tradition, something we at Mainlining Christmas hold in the deepest reverence. Our night began with a feast, of course, since we'd need energy for what comes next. Once we'd built up a healthy layer of fat, Lindsay and I set out into the cold to celebrate the holiday and kick off the holiday season. We could think of no better place to start than Walmart, that bastion of holiday cheer and stalwart shrine to American culture. We arrived around 10:30 PM Thursday and found a parking space, no small feat on this night, as you can see above. 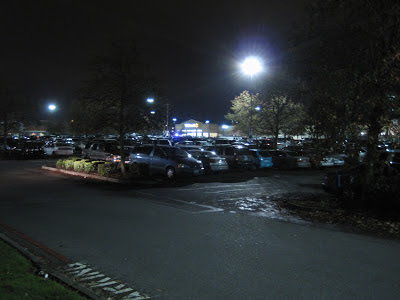 The lights in the parking lot shone off the cars and SUV's like decorations. We made our way through the near-winter wonderland of vehicles and reached the front, where a handful of police cars were lined up to help maintain order. Premise: Girl met boy, lost boy, left hometown in a terrible snit, returns years later successful but lonely career woman to face boy, their feuding moms, and Christmas. Wow. Romance is silly. I mean, anyone who says otherwise is just deluding themselves. It's not necessarily bad, but it is darn silly. Particularly this light bit of fluff from noted romance author Debbie Macomber. 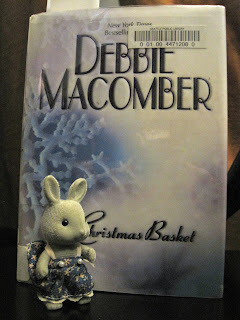 Apparently Ms. Macomber writes a Christmas book every single year, so a friend suggested she'd be a good choice to spotlight for Mainlining. Why did I read this one? It was available at my local library and it won an award. Simple as that. I flew through this book in a single evening, and most of the details have left my brain already, but for romantic fluff, it wasn't bad. Sure, every single character was a sitcom-level moron and they all deserved the stupid pits they’d dug themselves into, but it was still okay to read. Arggh. I knew I should have just fast forwarded past this without looking. I found this on a VHS of programs recorded off of the Disney Channel when I was small. This is one of the stupidest specials I've seen in a while. Not quite scratch-my-own-eyes-out, but that's mainly because it's short. Okay. 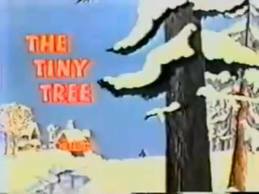 The Tiny Tree is a completely nonsensical special about a tree that lives in a meadow with a bunch of folksy animal friends who all have different caricatured regional accents. A little girl and her family move into the house by the meadow, and the tree and the animals make friends with her. You have to understand that the little girl is in a wheelchair, but doesn't seem to be able to reach the wheels for some poorly-animated reason, so this amounts to a handicapped child being repeatedly kidnapped by a bunch of half-clothed, talking animals. Huh. That was.... not as bad as I expected. You have to understand, I basically hate Family Guy. There were a few funny episodes early on, but the characters grate on me to such a degree that watching the show makes me feel somewhat ill. So it was with much trepidation that I settled in to watch this. For the first two-thirds of the episode, it went basically as expected. Erin and I sat there in revolted, stony silence as the terrible attempts at “jokes” rolled out. Unnecessary crudeness that just wasn’t funny, pointless twists in the service of yet more unfunny lines, and a building over-the-top sitcom-style disaster that mostly had us rolling our eyes. Then there was a tiny little Christmas miracle: it got funny. About ten years ago I wrote a novel called For Love of Children about Santa Claus, the Easter Bunny, and the Tooth Fairy teaming up to (among other things) fight the Bogeyman. I spent a lot of time trying to find an agent, but no was interested in something that out there. Three years ago I gave up and published it myself. 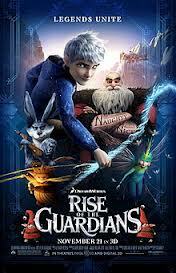 At about the same time, Dreamworks started production on Rise of the Guardians, a movie about five characters (included the aforementioned 'big three') teaming up to fight the Bogeyman. In the span of a few decades, Black Friday has grown from a trivial footnote to a major part of the Christmas season. As such, it is surely fitting that the day not be excluded from one of the most significant holiday traditions. I refer, of course, to warfare. War is only an integral part of Christmas figuratively speaking, of course: people don't actually die in the fights between Christian groups fighting for the right to erect lighted shrines to pagan tree spirits and secular groups demanding that the phrase "Happy Holidays" be substituted for its synonym, "Merry Christmas." No, the war over Christmas is actually a cold war. Casualties are unheard of. Black Friday, on the other hand, is no stranger to bloodshed. People have been trampled to death, shot, and stabbed. But, until now, these have been isolated events: more skirmishes than an actual war. But that may be changing thanks to a new trend: Black Friday Eve. I'm a little confused how this exists. 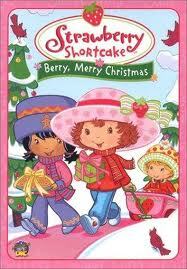 I knew that someone did a rather silly-looking reboot for Strawberry Shortcake in the early 2000s, around the same time a bunch of 80's franchises for girls got ill-fated re-imaginings. But we bought this used, and it's a VHS. A VHS! In 2003. Wow. It's a good thing we bought this 50-cent used VHS tape, though, because if we hadn't, I would be unable to report to you that the tape itself is berry-scented. Just like the dolls. Onto the actual content: surprising no one, this is pretty bad. Not “Oh God, my eyes!” bad, but just without any production values to speak of. I mean, I guess the animation isn't terrible. However, what they chose to animate is incredibly boring. We weren't going to come back. The pain was too great; the burden too large. We looked at the task, at what it would entail, and we flinched. This wouldn't be a year of animated classics and Miracles on 34th Street: we've done those already. This was to be a year of Barney, Veggie Tales, and Adam Sandler. It was going to be hell. So we ran. We fled across the country to a new city, where maybe - just maybe - we could start a new life. Maybe watch an Easter special or something; I don't know. And that was going to be it for the blog: let it die. Who needs it? That's when the phone rang. Not the cell, not the land line... the other phone. The message was bleak. Christmas was in danger. A conglomerate of evil businessmen aligned with foreign powers intent on undermining America, as well as secular groups legitimately trying to make their communities more inclusive for everyone, have pooled their resources in a coordinated attempt to destroy Christmas once and for all.